StreetMap Premium for ArcGIS is now available for the Asia Pacific region. The data is provided by Esri partner HERE, a leading street data vendor. StreetMap Premium for ArcGIS is an on-premises data product that users can deploy rapidly behind the firewall. The product supports GIS applications delivering multiple business functions across departments, organizations, or enterprises. Esri technology users who work with ArcGIS for Desktop, ArcGIS Pro, and ArcGIS for Server can use StreetMap Premium for ArcGIS as a ready-to-use data source for creating maps that display accurate street data, geocoding location information, and performing route analysis. The new Asia Pacific offering includes street data for 52 countries, including Australia, New Zealand, India, Indonesia, Hong Kong, and Malaysia. 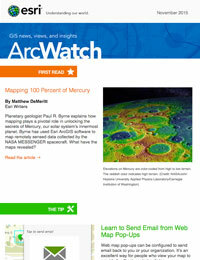 StreetMap Premium for ArcGIS content now covers all regions of the world. Each of the five regional offerings provides the same consistent look, feel, and capability no matter which geography is used. Geocoding is supported in 14 countries in the Asia Pacific region: Australia, Brunei Darussalam, Guam, Hong Kong, Indonesia, India, Cambodia, Macau, Malaysia, New Zealand, Philippines, Singapore, Thailand, and Vietnam. Geocoding, a core task for any GIS project, converts location information such as a street address into spatial x,y coordinates that can be displayed as a feature on a map. The address locators available with StreetMap Premium enable organizations to geocode either by a single line or in batch mode, and also to reverse geocode addresses. With rooftop points adjusted to the road, you can geocode down to the most precise address location—the building level. Although address structures for foreign countries differ from those of the United States, Esri provides the same geocoding speed and precision for global data as for domestic data. 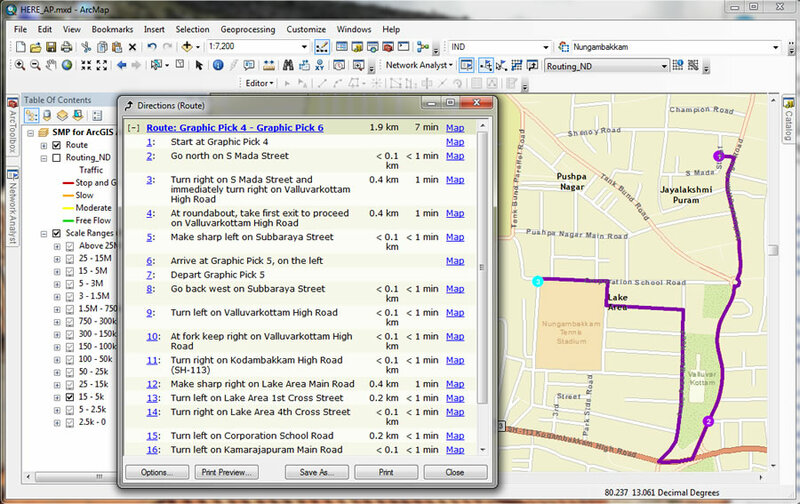 Using data from StreetMap Premium for ArcGIS, your organization can plan a route in Chennai, India. StreetMap Premium includes a map document that contains prerendered layers at multiple scales, and dynamic label placement is used throughout the entire map document. This scale-dependent approach provides the right level of detail for each map zoom level. The routing component of StreetMap Premium for ArcGIS lets you manage transportation routing more effectively with turn-by-turn directions and route optimization for your specific vehicles. Detailed road attributes such as physical and legal restrictions and points of interest specific to the transportation industry are included. To learn more about how StreetMap Premium for ArcGIS data can help you, call 1-800-447-9778 or visit esri.com/data/streetmap.